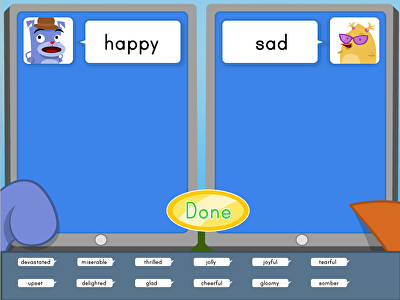 Kids practise spelling and vocabulary as they choose homophones to complete sentences in this reading game. Sentence clues can help us identify the meaning of new words. 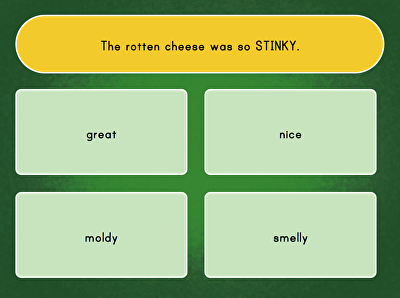 Kids use this strategy to identify synonyms in this quiz game. Happy, thrilled, delighted! In this shades of meaning game, kids identify common synonyms that are grouped together. 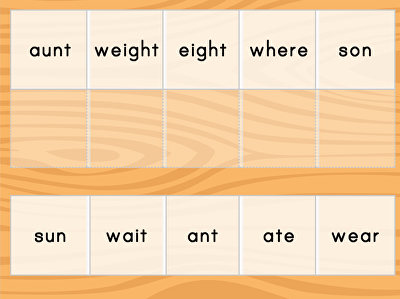 Kids will figure out the definitions of these sensory words by using context clues to infer the meaning. 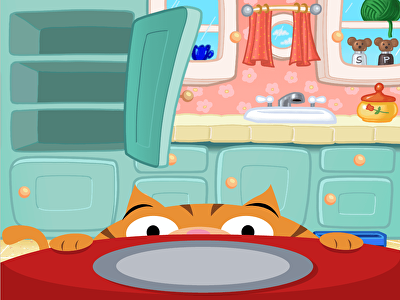 Homophones are words that sound similar, but mean different things. Can you match the homophone words? What does the word symbiosis mean? In this vocabulary quiz, kids define words from the story Symbiotic Relationships.